Agnes was born in Assisi, Italy, around 1197 or 1198. She was the younger daughter of a royal family, and she might have been born with the name Caterina. She was very close to her older sister, Clare, and they spent most of their time together. 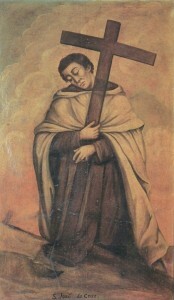 The sisters heard Francis of Assisi preach, and they wanted to imitate his example of living a simple life of service to others. When they told their father that they wanted to live like Francis, he said he would never allow it to happen. One night, Clare sneaked out of the house and went to live at a Benedictine convent. Two weeks later, Agnes joined her. The family went to the convent to force the sisters to return home, but the sisters refused to leave, even when soldiers tried to force them to do so. They were sure that God was calling them to this new life. The young women traded their jeweled belts for knotted ropes and cut their hair short. 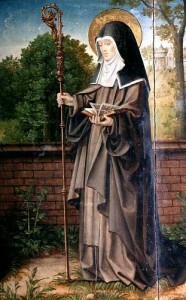 With Francis’ leadership, they founded an order of nuns called the Poor Clares, and Caterina was given the name Agnes. Francis put Clare in charge of the new order. As more and more women joined them, Francis asked Agnes to establish a new convent in another town. Later, she founded convents in three other cities in Italy. The Poor Clare nuns owned nothing and depended on contributions for their food. 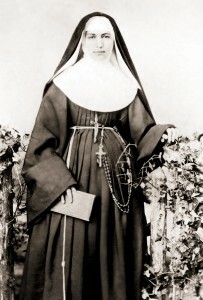 Agnes’ life was a prayerful example for all the sisters in her order. 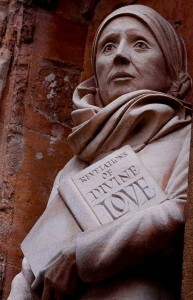 She led them in being faithful to the teachings of Jesus and St. Francis. She died just a few months after her sister, Clare, in 1253. The church honored her as a saint in 1753. St. Agnes of Assisi teaches us to live the first beatitude: “Blessed are the poor in spirit, for theirs is the kingdom of heaven” (Matthew 5:3). Instead of caring so much about material possessions and the things we own, we can imitate St. Agnes. We can put all our trust in showing our love for God. © Copyright 2017 - RCL Benziger. All rights reserved.